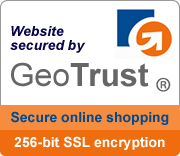 This Website is owned and operated by Lola Says Trust (ABN 95 989 800 640) trading as THE DESIGN GIFT SHOP. At the time your package is delivered, you will be responsible to pay the eventual duties & custom fees based on the value of your items. Please understand that this is a fee that your country charges to the purchasing party for importing products and is not a cost that is paid by the seller (due to the many different countries and changing fees, we are unable to calculate this into your order). At The Design Gift Shop we have carefully chosen our gift items for their overall design and manufacturing quality. Our gifts are carefully packed to avoid damage during transportation. If for any reason you are not happy with your purchase we will offer you an exchange or provide you with a store credit for unopened products within 30 days of delivery in the value of the merchandise cost (minus cost of sending and returning of goods). Where there is no proof of delivery, this date will be assumed to be 3 business days from the date of dispatch of the product. Item(s) have to be returned in new, unused, pristine and unmarked condition, with all the original packaging in unmarked, saleable conditions. The Design Gift Shop will only carry the cost of return shipment when returning goods were damaged prior to receipt. As proof we need the statement of the shipping company (AusPost, courier service etc.) about a damage during delivery. Once we receive the prior to receipt damaged items, we will fully refund you the amount you paid for the product(s) and outbound shipping costs. Any other return will be at the expense of the customer. Goods must be returned to The Design Gift Shop prior to dispatch of exchange goods or store credits/refunds. If you need to return an item, simply send it back with a copy of your invoice. Please note that we are not responsible for any merchandise damaged or lost 'en route' to us. Therefore it is adviseable to send your package through a traceable method. We'll notify you via e-mail of your exchange, voucher or refund once we've received and processed the returned item. For secure credit card processing of VisaCard, MasterCard or Amex credit cards The Design Gift Shop uses the services of Eway and Stripe as a global payment gateways. Your Visa, American Express or Mastercard is processed through aSecure Credit Card Payment gateway. The Design Gift Shop doesn't store any of your credit card details in its database, once you have provided them on our payment page and your order is placed, your details are sent to Eway to be processed in the background. All your details are then automatically deleted by our system. Eway notifies us when your payment has been made. We also offer Apple Pay as mobile payment option and digital wallet service for customer payments using an iPhone, Apple Watch, iPad or Mac. As a further safe option for secure credit card processing we accept payment with PayPal. Your credit card and billing information cannot be read as it travels to our ordering system! Our check-out process is verified and approved by all the major credit card providers and PayPal. A direct payment option with Westpac has been added to our site for further convenience of those who choose not to use Credit Card payment. Using The Design Gift Shop web site is a your sole risk as it is with any other web site too. But we ensure you that we take all the necessary precausions to make shopping with us safe and secure. Your personal information and credit card details are protected by the latest Secure Socket Layer (SSL) encryption technology so you can order online with peace of mind. All your ordering information -- including your name, address, and credit card number -- is encrypted using a secure server for maximum security. We at The Design Gift Shop respect the privacy of every individual who visits our website and we understands very well that privacy is important to our customers. As a result, we keep all our customer information confidential. When placing an order with The Design Gift Shop, you will be required to provide personal information for the purpose of processing your order with us. Cookies are used only to keep track of the content of your shopping cart and also to store your details for future visits. We do not at any time share, publish, rent, sell or disclose your details. Your personal details are kept in our data base for your benefit. You can be sure that when trading with The Design Gift Shop, your information is safe and secure, and no unwanted junk mail will be sent to you as a result of trading with us. We won’t let you down! In operating The Design Gift Shop, it is essential for us to capture some information about your device, such as your IP address and information related to your visit when you browse our store. For example, this might include time-stamp, the last page or product you visited, the indication that you logged in. If you buy something from our The Design Gift Shop, we will need more specific information about you. To fully process your order and ship the merchandise you selected, we need your personal data such as your first and last name, your email address and your shipping and billing address. We also use your contact and order information to send you communication related to the processing of your order. We will ask you to provide this information in our “checkout page” before letting you finalize your purchase with the payment. If you have started to buy one of our products, but have not completed the purchase, you may have provided partial information, such as your email. In that case, The Design Gift Shop might send you an email to remind you about your interest. If you are not comfortable in receiving further emails of this kind, we will give you a simple opportunity to opt-out. Your privacy means a lot to us and we will stop sending you these communications right away. If you have completed a purchase, The Design Gift Shop will send you an email to ask you to review the product you bought. We want to be sure that whether you love your purchase or have a complaint, you can share your opinion with other customers. We also use some specific information related to your visit, such as the timestamp of your visit, the page or the product you viewed, where you are coming from (if you came to our store because you clicked on an advertisement or you just opened our direct link). This is very similar to the “essential information,” but we use it to provide you with a personalized experience. The information on your visit provides us with insights on your interests and allows us to send you relevant communications. We capture this information through cookies, called a "beacon," that we allow you to block. When placing an order with The Design Gift Shop, you will be required to provide personal information for the purpose of processing your order with us. Cookies are used only to keep track of the content of your shopping cart and also to store your details for future visits. We do not at any time share, publish, rent, sell or disclose your details. Your personal details are kept in our data base for your benefit. You can be sure that when trading with The Design Gift Shop, your information is safe and secure and no unwanted junk mail will be sent to you as a result of trading with us. By registering to The Design Gift Shop or by joining our newsletter subscriptions you are agreeing to accept promotional emails from time to time. Through the newsletter and promotions, we let you know about new product ranges, new brands and special sales or member discounts. If you would prefer not to receive these emails, you can unsubscribe at any time. Many. We might need to share your personal information to comply with applicable legal obligations, e.g. for tax reasons or fraud detection. For Privacy Leader please contact us. By registering to The Design Gift Shop or by joining our newsletter subscriptions you are agreeing to accept promotional emails from time to time. Through the newsletter and promotions we let you know about new product ranges, new brands and special sales or member discounts. If you would prefer not to receive these emails, you can unsubscribe at anytime. The Design Gift Shop proudly offers FREE standard shipping Australia-wide. In stock orders ship the same day or next business day. Standard shipping usually takes 1-5 business days, depending on your parcel destination. For orders shipped to destinations outside of Australia shipping costs are automatically calculated according to the weight and size of your products in order to charge you always only the most economic shipping costs! When you place an order with The Design Gift Shop, you will be able to get an automatic estimation of shipping costs during the check-out process depending on the shipping provider you choose before you confirm your order. We stock all items offered on our website. If goods are not available it is clearly stated on our web site, otherwise we will advise you within two business days. (Our intelligent shopping cart does not allow you to order products which are temporarily not in stock!) In general delivery time is 1 - 5 business days, depending on the chosen carrier and the destination. (In rare occasions gift delivery time frames may vary without notice.) Orders are dispatched upon full payment for goods only. Online credit card payment is credited immediately, bank deposit may take up to two working days, depending on your bank. The Design Gift Shop will not accept responsibility for any loss or damage caused after delivery or for gifts delivered to an incorrect address given to us or to an unattended address where customers opted to have their gifts left at the door if no one is home. If your order hasn’t arrived at the estimated time frame, please contact us and normally we will be able to track your order through our carrier.